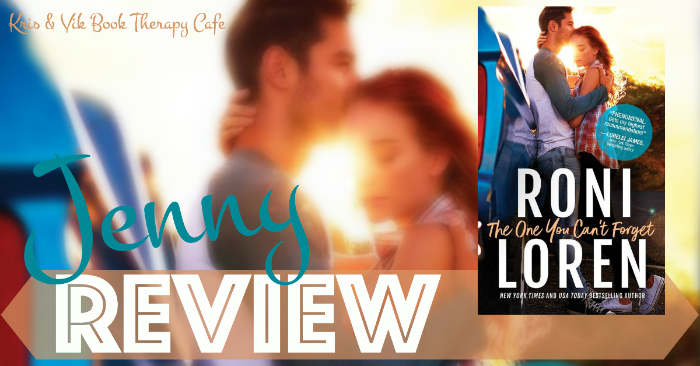 The Ones That Got Away was my first book by Roni Loren and I loved it! The writing, the characters, the story was amazing. So when I found out she was writing a book about Rebecca, I was eager to get my hand on this book. Rebecca is a workaholic, divorce lawyer who is at the top of her firm, about to make partner who’s dealing with guilt from the past. Wes, is a former restaurateur who lost his business in a vicious divorce. After Wes help Rebecca after her mugging they are drawn to each other but don’t want anything serious as they both have relationship and trust issues. The story was a constant slow simmer. They were no real drama and not heartstopping moments. There was a moment that could’ve thrown a wrench in Rebecca and Wes budding relationship but they managed to be through it. Despite their relationship starting as just a fling, feeling begin to change and they are force the deal with their past guilt and trust issues. Also dealing with the aftermath of Rebecca’s mugging. As much as I liked The One You Can’t Forget, I didn’t love it like The Ones That Got Away. I’m still very much invested in the other characters and can’t wait for the next books.